Here it is — the end of year 3. The usual mayhem of May Week is over, and all undergraduates have gone home. Chatty tourists, excited summer-schoolers and stressed graduate students now inhabit Cambridge. As for me, it seems I’ll be staying at least another term. Submission goal: winter of 2013/14. This spring my main supervisor took a job in Italy, and it has taken me and my department some time to regroup in light of his departure. Of course, I fastidiously used this good excuse to pine and procrastinate. But last week, on Midsummer Day, I finally had a meeting with a new potential supervisor, Dr. Susan Larsen, and it’s looking good. Dr. Rory Finnin is moving from an advisor to a co-supervisor as well. Fingers crossed. — and a third is on its way in The Modern Language Review. Given how long these things usually take, I don’t imagine it will come out before 2014. At this point, I must say, helpful and insightful anonymous reviewers in my experience far outnumber the non-constructive ones (fingers crossed once more). I have also been asked, for the first time, to review someone else’s article — a small milestone of its own, I suppose. In other news, only three weeks remain before I head to the States to start that Summer Institute course I mentioned earlier: Scenes from the History of the Image: Reading Two Millennia of Conflict. A heavy box of books from the National Humanities Center has already arrived at my doorstep, and a whole set of PDFs has been uploaded to the online forum dedicated to our course. Two weeks of intense classes, with three 90-minute sessions daily, will start in North Carolina on Monday 29 July. Here is our reading list. I pulled in into a PDF file while trying to organize the printouts. This might be of interest to anyone thinking of applying to similar summer programs, which are aimed at combining intellectual work with quite a bit of networking. As one can see, this course is likely to yield a lot of new material to work with — which is exactly why I applied to participate in the first place — but I do hope I’ll have the good sense to sort through that information without getting flooded. As in, diving too far into it. Getting flooded is a tendency to be reckoned with. To sign off for now, here are a few pictures (via my old trusty Nokia) from some of the May Balls I worked this year. Benefits of such work include: getting trained to use all kinds of fire extinguishers; experiencing those famous Balls without the usual price tag of a ticket; walking around with all-important appearance and a cool-looking radio in one’s ear (the all-important appearance fades quickly as the night progresses and workers turn into frozen puppies sometime around dawn); and, finally, a little bit of extra (way-below-minimum-wage) income. 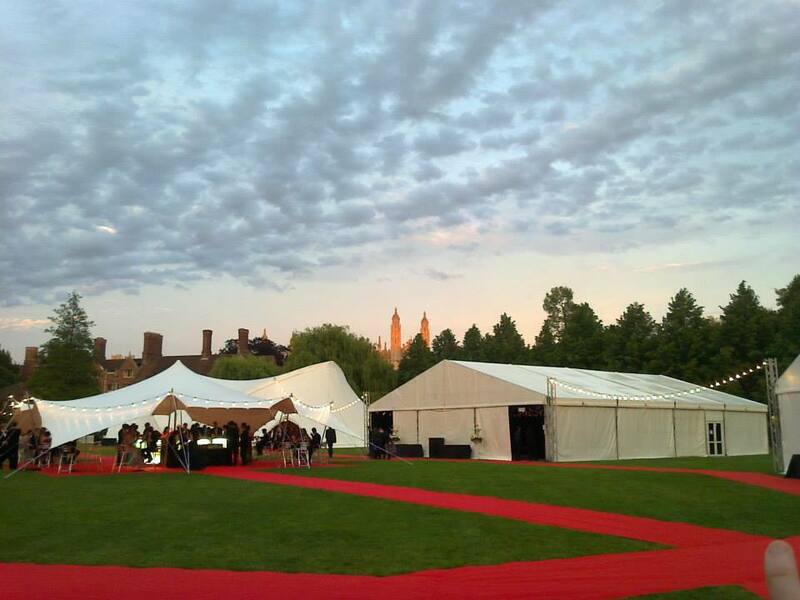 Sunset glazes King’s College Chapel as Trinity May Ball 2013 admits its very first guests. June 17, 21:15. 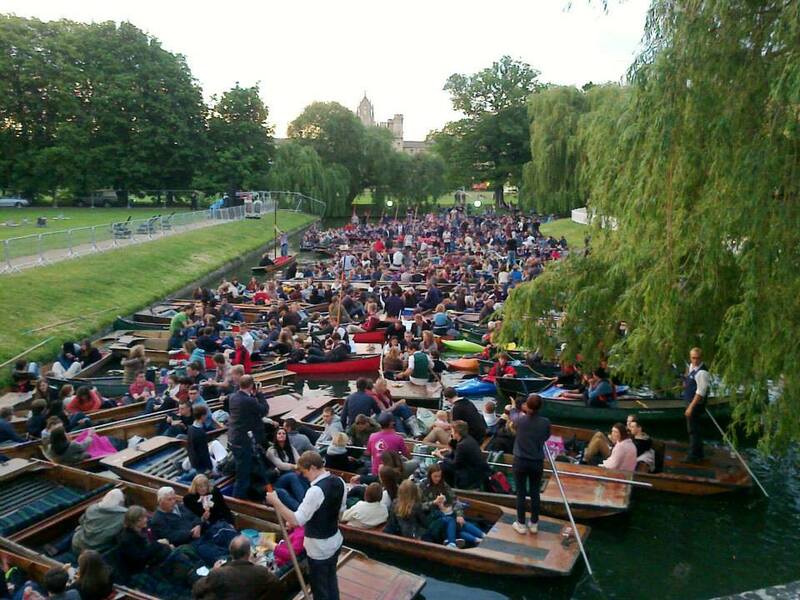 Punts fill River Cam in preparation for the famous fireworks show. June 17, 21:20 (over one hour before the show itself). Trinity’s territory is on both sides of the river, and bulky security guards ensure that punters don’t climb out and crash the Ball. Guests begin to pour in. June 17, 21:25. 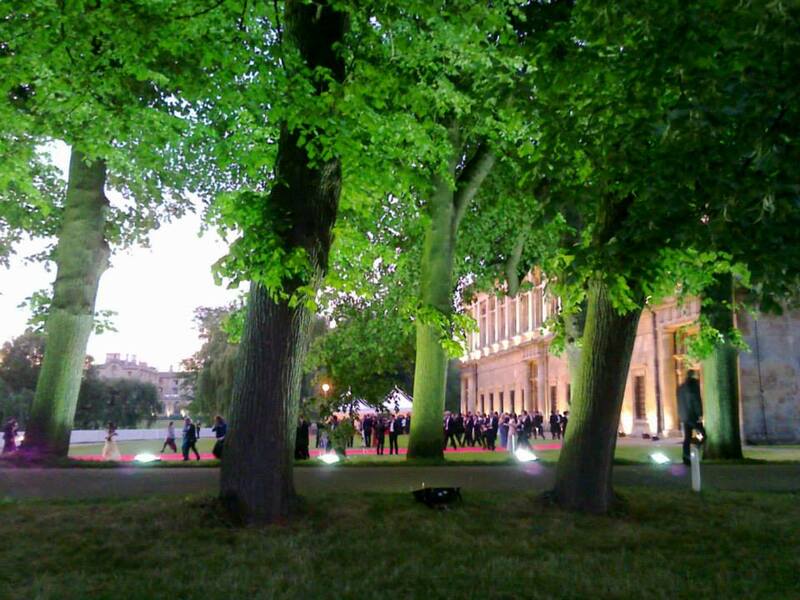 May Ball at Queens’ College. Dawn, June 19, 4:35. 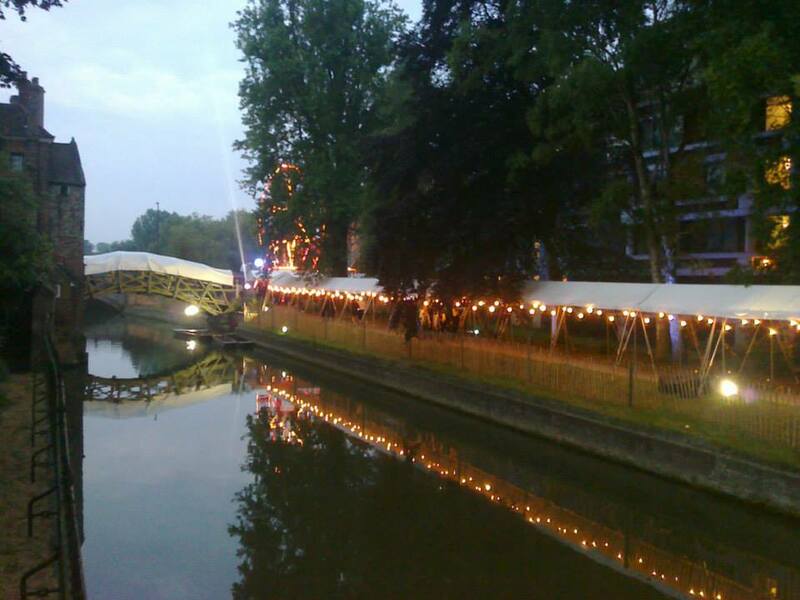 The famous Mathematical Bridge is covered and turned into a tunnel for the night. A rare view: Cambridge at dawn, from Queens’ College. End of shift on June 19, 6 am. Lone guests are visible on the Silver Street Bridge, with lots of parked punts beyond it. 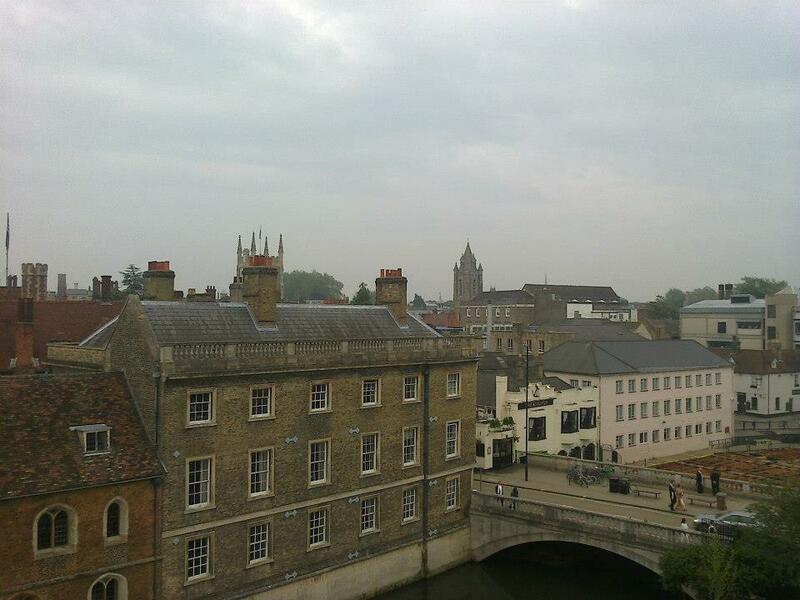 Sadly, I did not capture naked drunk guests jumping into River Cam from that bridge — but I did see them. A hell of a reading list, Tanya! You have your work cut out for you, but that’s intriguing stuff and I’m sure you’ll have a great time there.